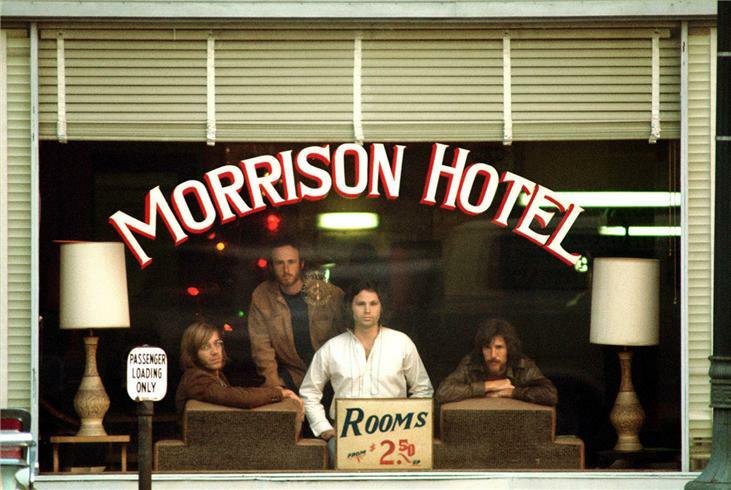 The Doors released the album “Morrison Hotel” on February 1, 1970. 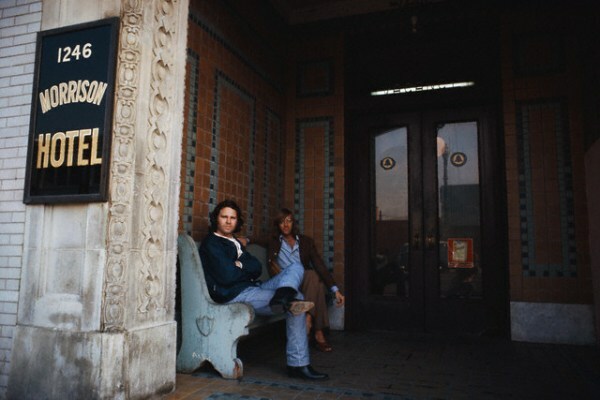 The cover photo of The Doors with a recently cleanly shaved Jim Morrison was taken on December 17, 1969 by photographer Henry Diltz through a front window at the aptly named Morrison Hotel. 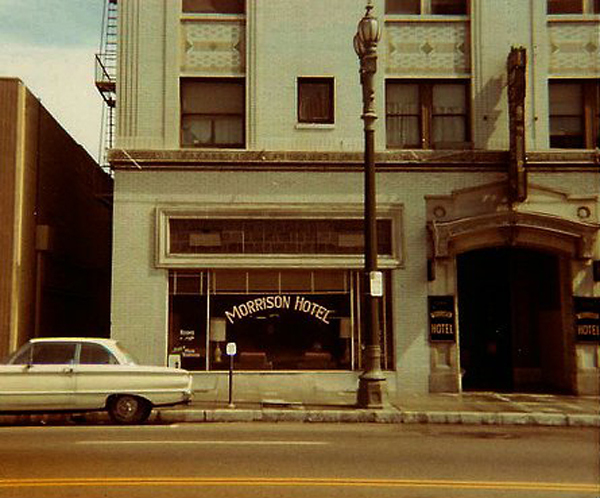 Here’s a cool vintage photo of front window at the Morrison Hotel at 1246 S. Hope St. Los Angeles, California. The building in it’s current state looks nothing like it did when the photo was taken but you can clearly make out where the window used for the photo is. 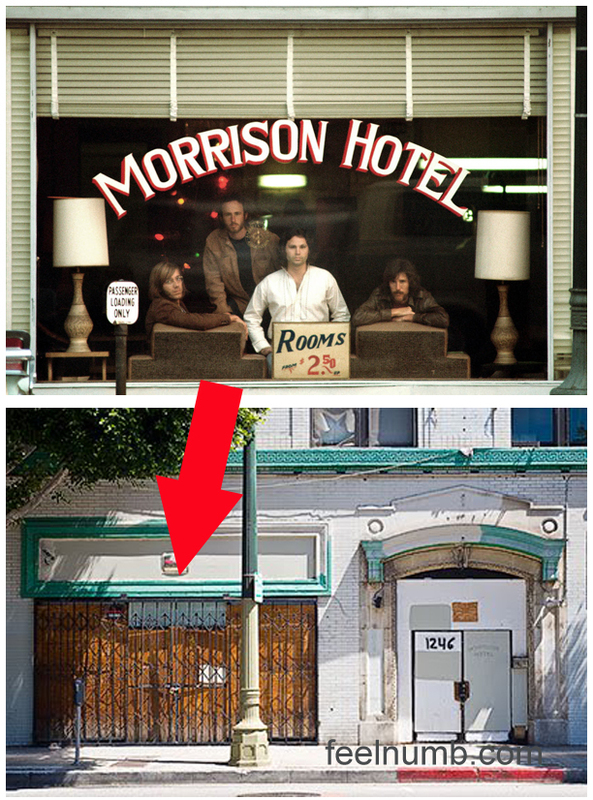 Here’s a few alternate shots of The Doors taken in the doorway to the Morrison Hotel. 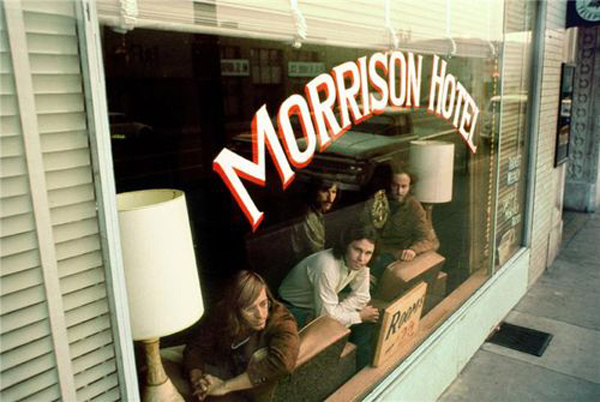 Here’s am Instagram (@feelnumbpix) photo of Raul Rossell of feelnumb.com in front of the Morrison Hotel. 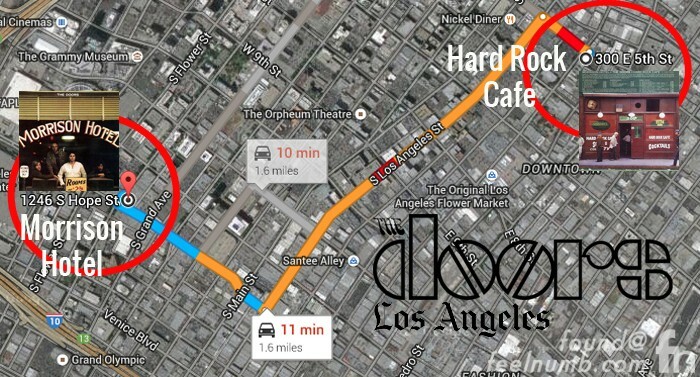 The now abandoned building is only a few blocks away from L.A. Live and The Staples Center. 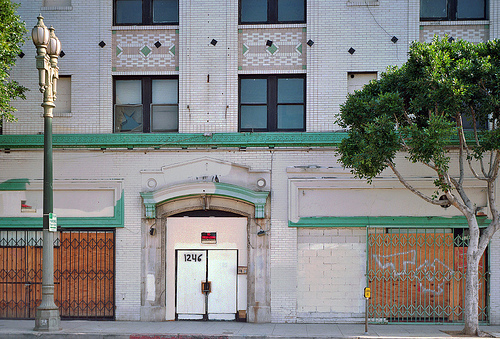 The boarded up window on the left is where the cover photo was shot. 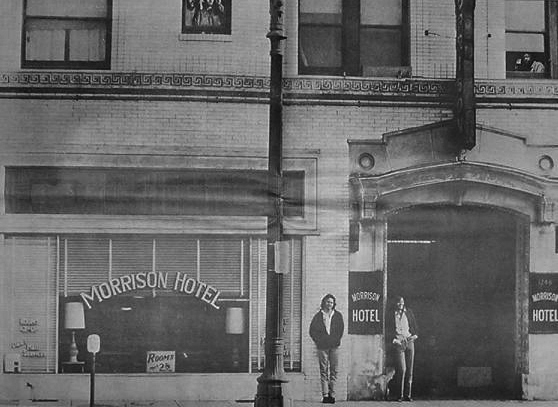 Finally, here’s a cool vintage promotional poster for The Doors Morrison Hotel album. 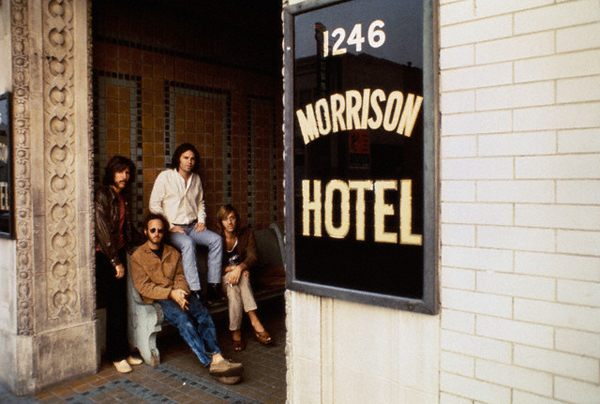 After this photoshoot the band headed down the road and took the “Hard Rock Cafe” photos that appeared on the back cover.